Just before Christmas I'd bought a Seth Apter ring binder. I'd decorated the outside but not done anything inside. 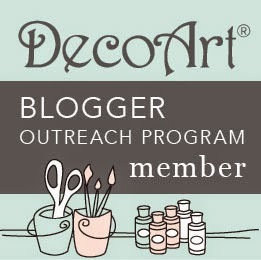 I started by applying some DecoArt white gesso with a credit card. 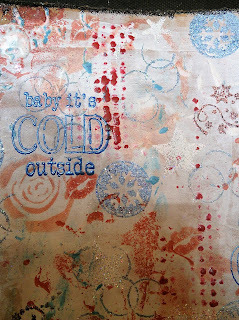 Then I stencilled Fired Brick Distress Ink through a rose stencil. 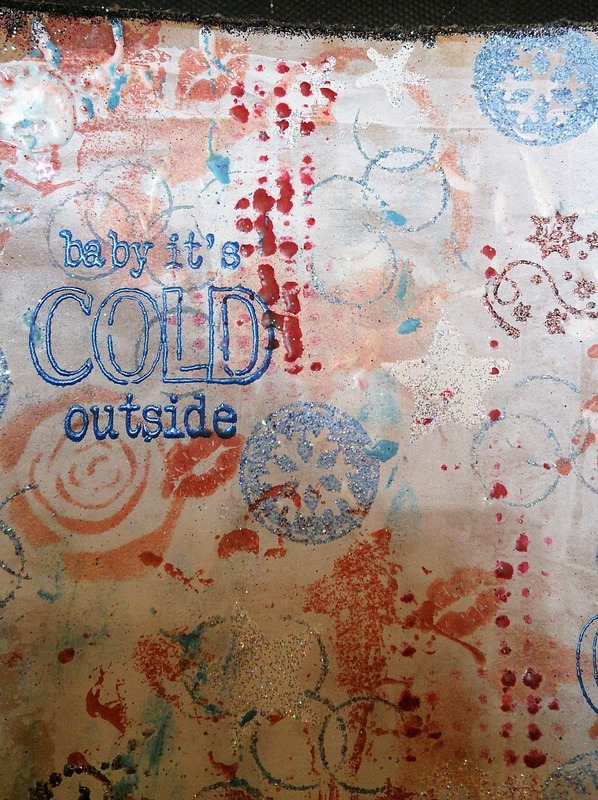 Time to stamp now - lots of Rubber Dance Christmas stamps. 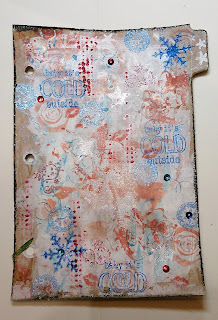 Also some Portfolio pastels through a Tim Holtz stencil. I heated this with a heat gun to melt it a little. Here are my romantic giraffes. 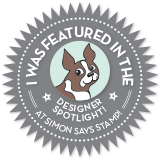 The Kraft Core was cut, embossed, sanded, then stamped and embossed. Every project needs a pair of romantic giraffes. There we go, at least one page is now done. 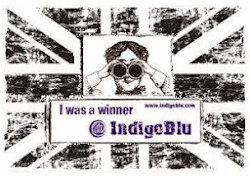 There's still loads of time for you to join in with our 'anything goes' challenge, so please play along. 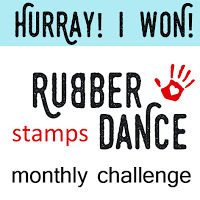 I'm also linking this to the Rubber Dance blue, red, and white colour challenge. 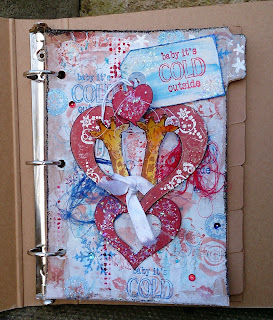 The ring binder is a great idea--I used to have one but not a clue where it went. 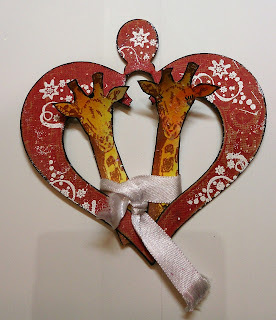 Quite right too Sue.....everything should have a pair of romantic giraffes on it!! I just love giraffes and the pair on your page are just adorable! Great background too! Sweet giraffes! Wonderful project and I bet those pages fill up fast! Awesome spread Sue!!! 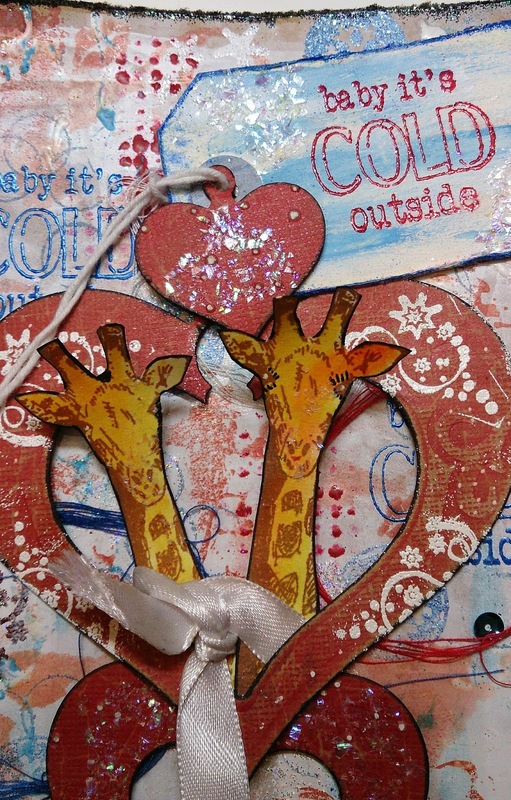 The giraffes are looking so cool together with these lovely hearts. Hugs, Susanne. I really can't stay - you have me singing away! This is such a fun page. 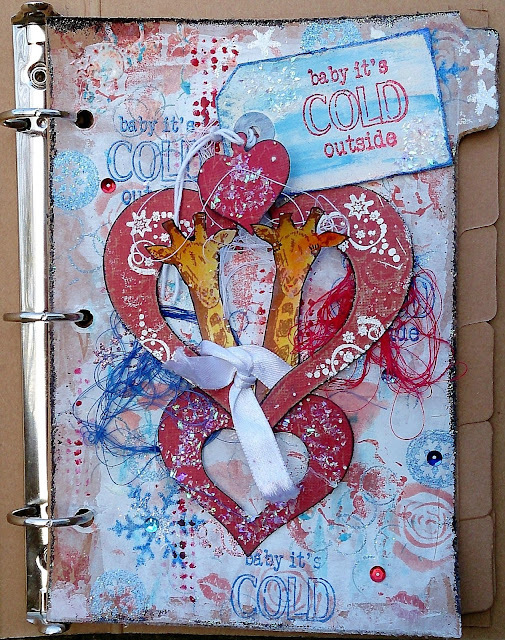 Great use of the ring binder. And the page makes me smile.